41 years, 5 months, 29 days old age. Jon Heder will turn 42 on 26 October, 2019. Only 6 months, 1 days, 20 hours, 37 minutes has left for his next birthday. Jon Heder has celebrated the total number of 41 birthdays till date. See the analysis by days count and bar graph. 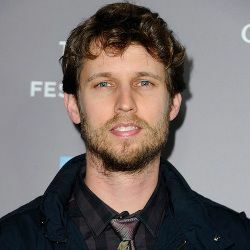 Jon Heder was born on 26-10-1977 in Fort Collins in the state of Colorado, United States. He is an American Film Actor, Television Actor, Voice Artist, Film Producer & Video Game Artist who known for his work in Hollywood. He was born to James Heder and Helen Brammer. He has five siblings named Dan Heder (Actor), Matt Heder, Rachel Heder, Adam Heder, and Doug Heder. He is married to Kirsten Heder since 2002.